New Orleans has always captured our imagination as an exotic city in its racial ambiguity and pursuit of les bons temps. Despite its image as a place apart, the city played a key role in nineteenth-century America as a site for immigration and pluralism, the quest for equality, and the centrality of self-making. In both the literary imagination and the law, creoles of color navigated life on a shifting color line. As they passed among various racial categories and through different social spaces, they filtered for a national audience the meaning of the French Revolution, the Haitian Revolution of 1804, the Civil War and Reconstruction, and de jure segregation. Shirley Thompson offers a moving study of a world defined by racial and cultural double consciousness. 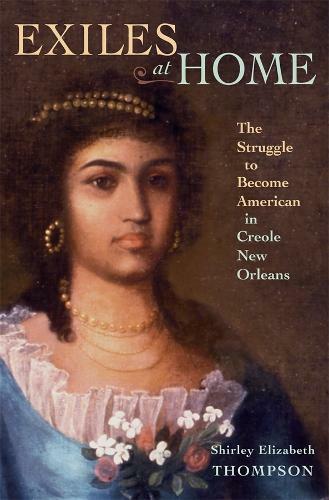 In tracing the experiences of creoles of color, she illuminates the role ordinary Americans played in shaping an understanding of identity and belonging.